Panasonic showed off its latest transparent OLED TV display at the Salone del Mobile design conference in Milan this week. The display is quite remarkable, encased in a wooden frame that appears to be holding nothing more than a piece of glass at first glance. 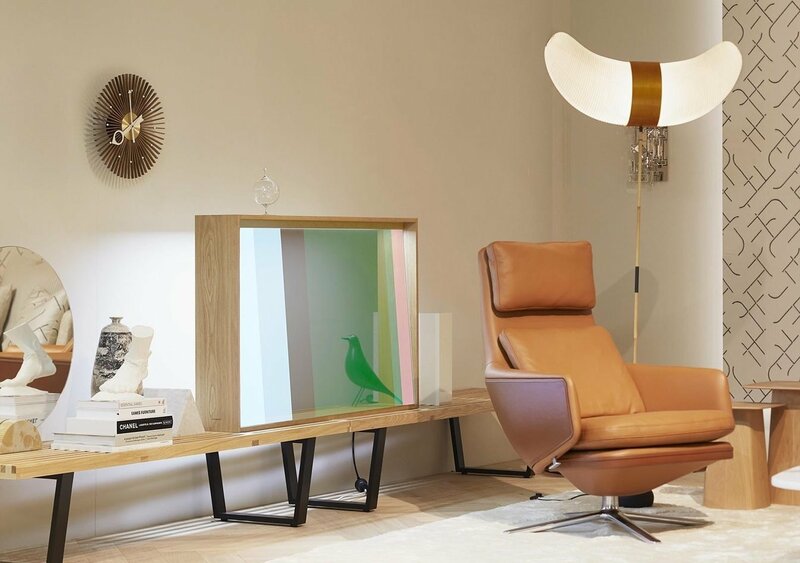 This isn’t Panasonic’s first transparent OLED display, but it’s certainly the most arty, with the company following the design aesthetic first started by Samsung with its “The Frame” TV that attempts to blend into its environment. Once switched on, the pane of glass suddenly becomes a “vivid OLED display”, the company said. Previous transparent OLED displays have not been up to the same standards as regular OLED displays however, as they often have poor contrast and the colours can appear desaturated in bright environments. It’s not really clear how Panasonic’s latest display stands up from the few available screenshots, but certainly the general idea of transparent displays is well worth pursuing as a new luxury feature. The latest design was the product of a “conceptual research project” that involved Panasonic working with the Swiss furniture brand Vitra. The display itself was designed by Daniel Rybakken and Panasonic Design Kyoto, and has its electrical components hidden, tucked away inside of the wooden frame that also serves as the TV stand. The frame also houses a lighting element for use when the TV is switched off. Panasonic hasn’t said who supplied the OLED Panel, but it was almost certainly built and customised by LG Display. It’s not clear if the display will ever go on sale to consumers, but Panasonic said it’s currently evaluating feedback to see what kind of demand there might be.